Also new this week, AXLR8R teams are changing online animation and robotic controls. 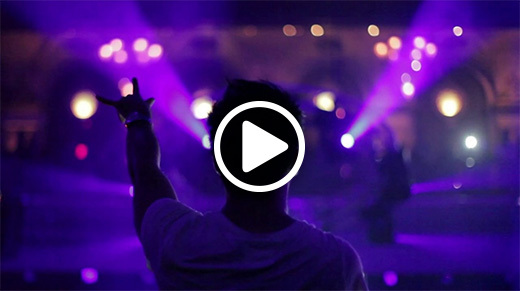 Grammy-nominated artist BT has created a new music app. Plus, Facebook in virtual reality, projection-mapped fashion, and how the Leap Motion Controller can help educators. To subscribe to our developer newsletter and get updates through email, click here. Grammy-nominated artist BT wanted to create a whole new way to compose and perform beautiful ambient music. That’s why he co-created Muse – a new Airspace app that lets you bring the music in your head to life. As we continue to build the next generation of our software, we want to streamline how we sell and ship our devices. At the same time, we want to let you know what’s going on, and share the changes happening on our online store and shipping procedures. Over the course of a weekend at PennApps, the largest collegiate hackathon in the US, Sam Bodanis and Kartik Talwar created a 3D model builder that lives in Google Hangouts. It’s also fully collaborative – and you can try it now! Take a hackathon journey with Zachary Fogg as he shows why hacking new hardware is awesome, and how he built his nostalgic Leap Motion-enabled Bop-It demo. Controlling a robotic arm to perform real-time tasks can be a real challenge. Mirror Trainer wants to make them feel like more natural extensions of our bodies. When you’re animating, most of the time spent is used on repetitive tasks, not being creative. LivePainter is making it easy for anybody to create animations on the web. Facebook in the rift. 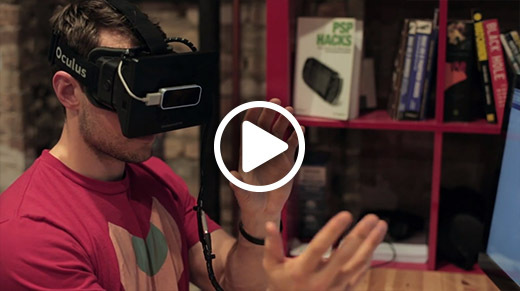 Using the Leap Motion Controller and Oculus Rift, Chaotic Moon Studios created a virtual Facebook marketplace. Instant fashion design. 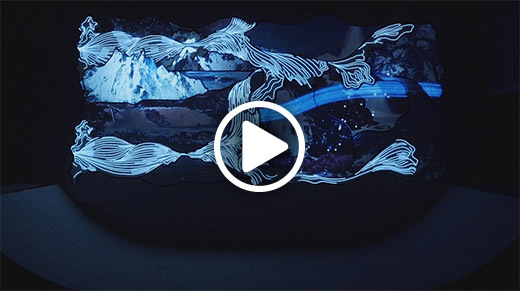 At Absolut Originality, a team of designers joined forces to create an interactive projection-mapped dress. Visitors to the exhibit were able to layer unique patterns and textures over the dress. 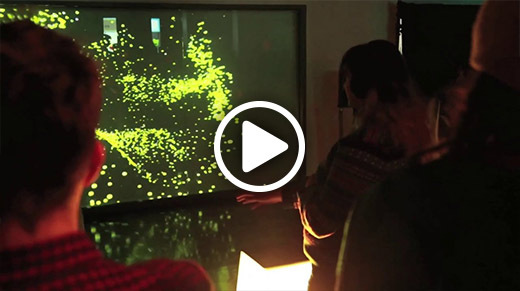 Developed for an interactive media university class in Montreal, this audiovisual experience let people control light particles and whimsical scenes. Draw lines in the air. 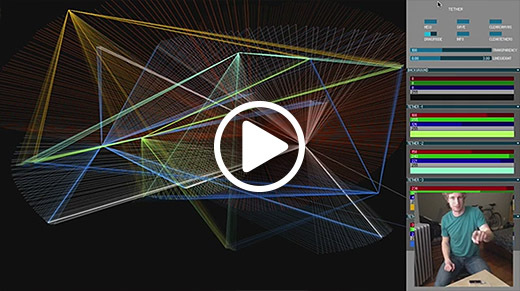 Casey​ Bloomquist’s Tether is a fun drawing program built in Processing. Download the demo or check out the source code on GitHub. 3D control mapping. GameWAVE is an Airspace app that lets you map mouse and keyboard controls to touchless input. From games to experimental 3D operating systems, what do you like to reach into with GameWAVE? Are you up for the challenge? With over 80 locations around the world, the International Space Apps Challenge is a truly global event – focusing on space exploration and global needs. Check out this list to see if your city is participating. If you don’t see your city, there’s also a channel for virtual participation. We’re supplying Leap Motion Controllers to teams in San Francisco, New York, Reno, Tokyo, Paris, and London. You can also participate through our IRC channel – so hop on in this weekend, check out the conversation, and lend a hand.